How Much Should Capitals Pay for Holtby? How much is Braden Holtby Worth to the Capitals? The Washington Capitals have some economic work to do this month. The team has a group of players due to become free agents on July 1– and the one they absolutely must re-sign is restricted free agent Braden Holtby. Holtby led the NHL this season for games played by a goaltender (73) as well as total saves with 1,887 stops on the year. He had a career best 2.22 GAA and a .923 save percentage, which were among the league’s best. In short, he became the goalie that the Capitals had long hoped for since legend Olie Kolzig left the organization in 2008. What is Holtby worth to the Capitals? I’m guessing something in the region of $6 million a year for five years. Anything less would be a travesty. Holtby was the main reason the Capitals made it to an inch away from their first Conference Final since 1998. His postseason 1.71 GAA and .944 save percentage were instrumental in keeping the Caps in both of their playoff series against the New York Islanders and the New York Rangers this year. A five-year contract will keep Holtby in D.C. during his peak years; it’s good business for the Caps. So it’s time for the Capitals’ GM Brian MacLellan to pony up the cash for Holtby – and he will. Those are not the words of a GM wishing to ship out a player; although stranger things have happened with the Capitals, they mostly occurred under MacLellan’s predecessor George McPhee (see the latter’s ‘expert’ decision to trade Filip Forsberg to Nashville for Martin Erat and Michael Latta in 2013). A settled and re-inked Holtby is bad news for at least one of the Caps’ UFA’s – particularly Mike Green, Eric Fehr, Jay Beagle and Joel Ward. From that list, I see Green moving on – unless he’s willing to take a hometown deal and stay at Washington for considerably less than his current salary. Even if Green does somehow stick around, crowd favorite Ward will likely be snapped up on or around July 1, because I predict he’ll be offered a short-term contract not worth as much as he deserves and he’ll walk. The same could be said of Beagle. 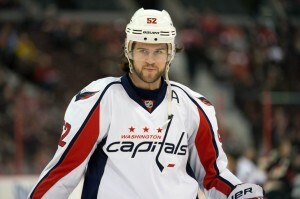 I see Fehr staying put though with a one- or two-year deal. Is Holtby worth signing to a fairly expensive long-term deal? And is he more valuable to the team than Green, Ward or Beagle? Yes. 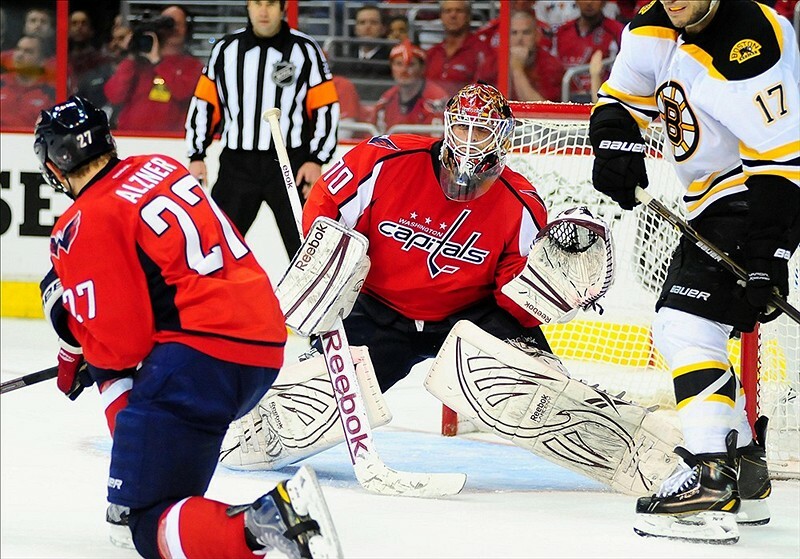 The Capitals need an excellent net-minder to win the Stanley Cup. They have one now with the best playoff save percentage in NHL history. Ultimately, it’s not worth imagining the scenes of gut-wrenching angst in Washington if Holtby was lost to a team in need of a goalie. And just imagine if Holtby left the caps in the offseason, signed for a rival team and that team won the Stanley Cup in 2016. The Caps should sign the man sooner rather than later – and for five years.